Evening dress by Vesper, You fancy, huh? Lace top, Round neck, Contrast sleeves and skirt, Zip-back fastening, Bodycon fit, Just in case you needed a hug. Hot new label Vesper gives you a serious fashion fix with their collection of figure sculpting dresses. Cut from luxe, super stretch fabrics, each dress is designed to flatter and enhance the female form. 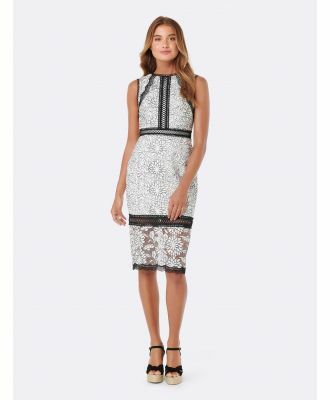 Inspired by the catwalk, expect an edit of cocktail dresses including bodycon styles, pencil dresses and wrap dress shapes.